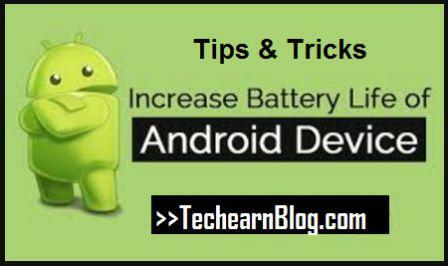 Following are the simple tips and tricks you can use , even if you are someone who is new to Android smartphone. Syncing is also drained battery. Though it is important for apps like email but turn it off when not needed.Google, facebook, twitter accounts are updated every 15 minutes. You can turn in off in Settings–>Sync. Apps like Google Play store and other app store constantly connect to the server to check for updated app. This process drains battery fast. Turn off auto update to prolong battery life. Prefer to have your phone alert you to incoming calls by vibrating rather than playing a ringtone? We understand the inclination; unfortunately, vibrating uses much more power than playing a ringtone does. After all, a ringtone only has to make a tiny membrane in your phone's speaker vibrate enough to produce sound. In contrast, the vibration motor rotates a small weight to make your whole phone shake or rotate. That process takes a lot more power. Energy is consumed whenever your smartphone searches for signals, Wi-Fi, 3G or Bluetooth etc. When the reception is poor, the phone will continue scanning to attain a good connection. Repeated searches for these signals can easily make your battery level drop a notch. Certain apps eat up more battery juice than others, particularly apps which utilize the GPS system to track your location. Your smartphone has a GPS unit that allows the sending and receiving of signals to and from satellites to determine your exact location, which is integral for some apps to work, for example, map-based apps like Google Maps or to check-in on Facebook. Phone batteries degrade much faster when they’re hot, whether you're using the phone or it's idle. Avoid leaving your phone on the dashboard of your car on a sunny day. The best way to maintain smartphone batteries is to keep your phone battery more than 20% charged. Constantly allowing the battery to go from completely full to completely empty can damage it and decrease its capacity over time. Best practice? Keep your battery between 30% and 80% charged. >>Best Way to Download Instagram Photos & Video On Android. Whether updates are intended for downloaded apps or the Android OS itself, they generally include bug fixes and tweaks that improve performance, including how efficiently battery is used. Don't use the Brightness in Auto mode,Because Even if you Enable the Auto mode you Some times Adjust the Brightness Manually.Because in Dark Conditions We prefer Less Brightness.But Auto Mode Enables the High Brightness Which is Not needed for us. By Controlling Brightness we can save upto 10% Battery life of daily Usage. -Root Users can Save lots of Battery by Disabling Unwanted Apps. -Root Users can save upto 20% battery life By Disabling Unwanted apps. >>What Are The Disadvantages of Rooting Your Android With Solutions. >>How TO Root Your Android Phone Easily Without Computer. Thanks for taking the time to read this post "How to Increase Smart Phone Battery Life". If you find this article useful and helpful, do consider sharing with your friends and colleagues on Facebook, Twitter and Google Plus. Protect your friends by sharing these tips.